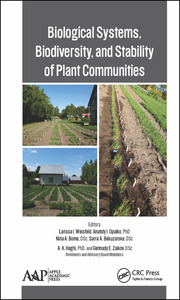 This important new volume presents a plethora of research on the distribution of heavy metals in soils and rocks of natural habitats, farmlands, and urbanized areas along with the factors influencing their bioavailability. The authors evaluate the content of organic matter, soil acidity, mineral fertilizers, and more. Developed for ecologists and specialists in the field of environmental protection and the conservation of biological diversity, the book presents the problems of reducing the anthropogenic load on the surrounding countryside and focuses on sustainable agricultural development. Introduction. Heavy Metals in Soils: The Factors Influencing Their Accumulations in Plants. Impact of Heavy Metals on Vegetation. Effects of Different Pollutants on Algae, Fungi, and Soil Microorganisms. The Risks of Environmental Pollution with Heavy Metals for Warm-Blooded Animals: The Possibility of Protecting Food Products from Pollutants. Gennady E. Zaikov, DSc, is a Full Professor and Head of the Polymer Division at the N. M. Emanuel Institute of Biochemical Physics, Russian Academy of Sciences, Moscow, Russia, and Professor at Moscow State Academy of Fine Chemical Technology, Russia. He is also a Professor at Kazan National Research Technological University, Kazan, Russia. He is also a prolific author, researcher, and lecturer, with over 2700 invited lectures through 2013 (including over 170 in the last three years) at conferences, universities, and research institutes. He has received several awards for his work, including the Russian Federation Scholarship for Outstanding Scientists. He has over 4400 research publications through 2014, including 451 monographic books, 250 volumes, and 12 textbooks. In addition, he is a member of editorial/advisory boards of many books. He has been a member of many professional organizations and on the editorial boards of many international science journals. Larissa I. Weisfeld, PhD, is a Senior Researcher at the N. M. Emanuel Institute of Biochemical Physics, Russian Academy of Sciences in Moscow, Russia, and a member of the N. I. Vavilov Society of Geneticists and Breeders. She is the author of about 300 publications in scientific journals and conference proceedings, as well as the co-author of a work on three new cultivars of winter wheat. Her research interests concern the basic problems of chemical mutagenesis, cytogenetics, and the other ecological problems. She has worked as a scientific editor at the publishing house Nauka (Moscow) and of the journals Genetics and Ontogenesis. 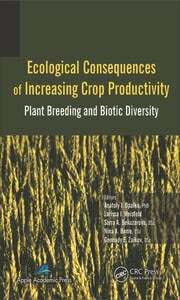 In 2013 she was a co-editor of the book Ecological Consequences of Increasing Crop Productivity: Plant Breeding and Biotic Diversity and Biological Systems, Biodiversity, and Stability of Plant Communities (Apple Academic Press). Eugene M. Lisitsyn, DSc in Biology, is an Assistant Professor at the N.V. Rudnitsky North-East Agricultural Research Institute, Russian Academy of Sciences in Kirov, Russia, and a Professor of of ecology and zoology at Vyatka State Agricultural Academy, also in Kirov, Russia. He is a member of the N. I. Vavilov Society of Geneticists and Breeders. Dr. Lisitsyn is the author of about 230 publications in scientific journals and conference proceedings, as well as the co-breeder of oats variety Krechet. His research interests concern the basic problems of plant adaptation to environmental stressors such as soil acidity, aluminum and heavy metals, and the other ecological problems. He has published chapters in several books, including Barley: Production, Cultivation and Uses; Biological Systems, Biodiversity and Stability of Plant Communities; Chemical and Structure Modification of Polymers, Temperate Crop Science and Breeding. Ecological and Genetic Studies, among others. Sarra A. Bekuzarova, DSc in Agriculture, is a Deserved Inventor of Russia and has been awarded the Medal of Popova. She is a Professor and Head of the Laboratory of Plant Breeding and feed crops of long-term seed-grower of fodder crops in North Caucasus Institute of mountain and foothill agriculture of the Republic of North Ossetia-Alania. She is also a Professor at the Gorsky State University of Agriculture, Vladikavkaz, Republic of North Ossetia-Alania, Russia, as well as Professor at L.N. Kosta Khetagurov North-Ossetia State University, Vladikavkaz, Republic of North Ossetia-Alania, Russia. She is a prolific author, researcher, and lecturer. She is corresponding member of the Russian Academy of Natural Sciences, and a member of the International Academy of Authors of the Scientific Discoveries and Inventions, the International Academy of Sciences of Ecology; Safety of Man and Nature; the All-Russian Academy of Non-traditional and Rare Plants; and the International Academy of Agrarian Education. Dr. Bekuzarova is also a member of the editorial boards of several scientific journals. She was an author and a co-editor of several books, including Ecological Consequences of Increasing Crop Productivity. 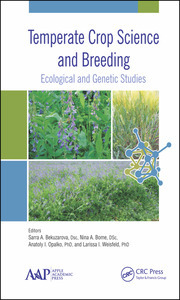 Plant Breading and Biotic Diversity; Biological Systems, Biodiversity and Stability of Plant Communities; and Temperate Crop Science and Breeding. Ecological and Genetic Studies. "The detailed coverage of diverse topics indicates an impressive breadth of knowledge on this subject. Heavy Metals and Other Pollutants in the Environment has succeeded in providing an overview of both new data and divergent views of specialists in different fields of biological and ecological knowledge on interrelation between abiotic environment and living organisms. 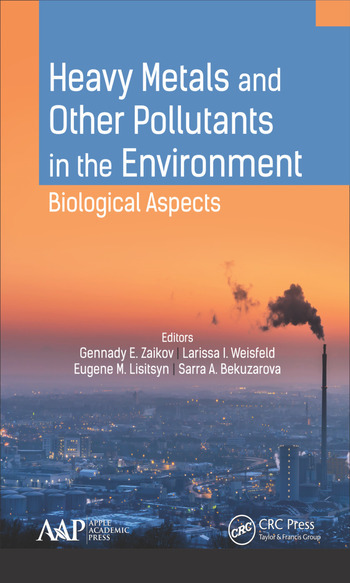 Although there is particular emphasis on East European territory, this book will appeal to researchers in other countries, regardless of their regional interests, in addition to advanced undergraduate and graduate students in soil science, chemistry, botany, microbiology and ecology."